I’ve been on a rampage this “spring cleaning” season cleaning out my entire makeup collection and wardrobe. 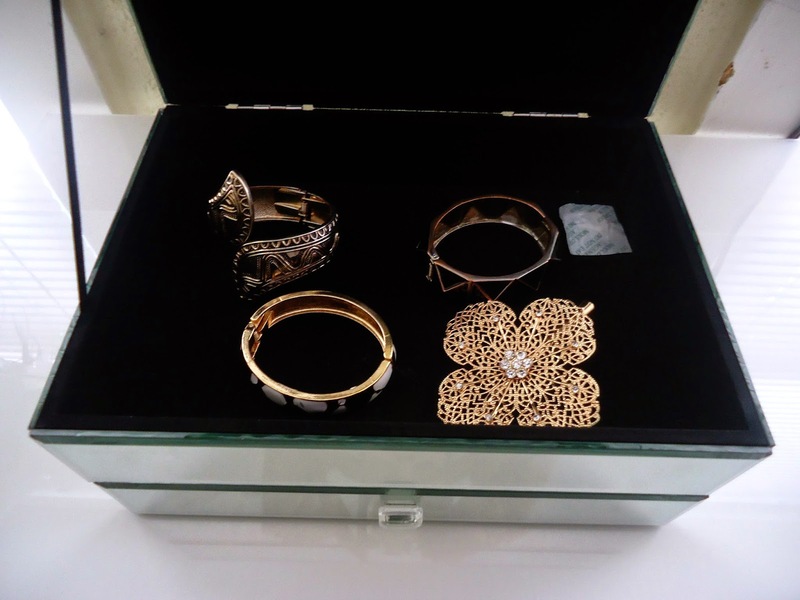 As the saying goes, out with the old and in with the new (in with new meaning more shopping) while also incorporating new items to my accessories collection as well. 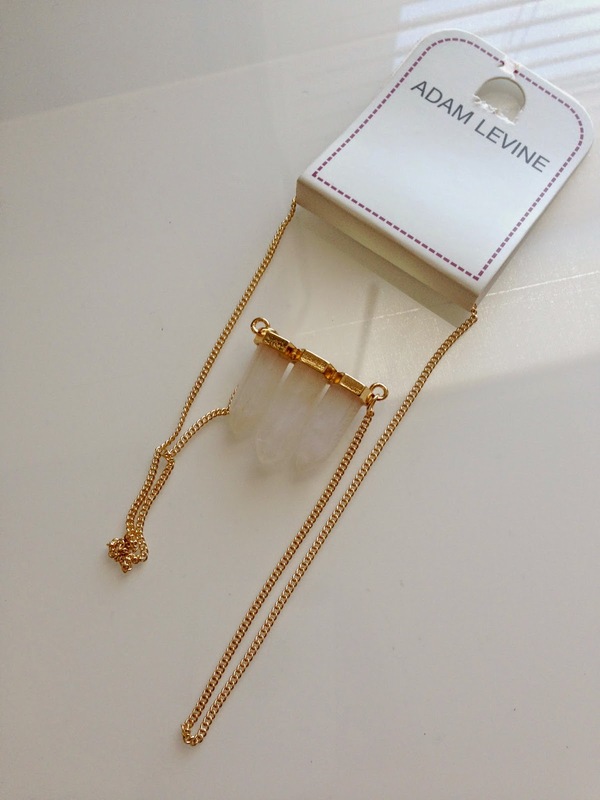 I came across the Adam Levine collection at K Mart last week and couldn’t help but to pick up this faux crystal quartz necklace for $10. I’m really loving the whole eclectic vibe to the accessories and clothing collection and may pick up some other pieces. 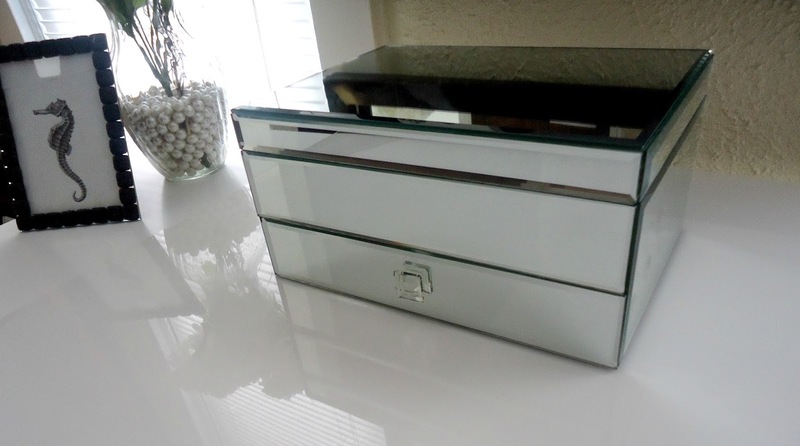 I also finally ended my quest for a mirrored jewelry case and found this at Big Lots for $30! It sits beautifully on my up and coming vanity, love it! 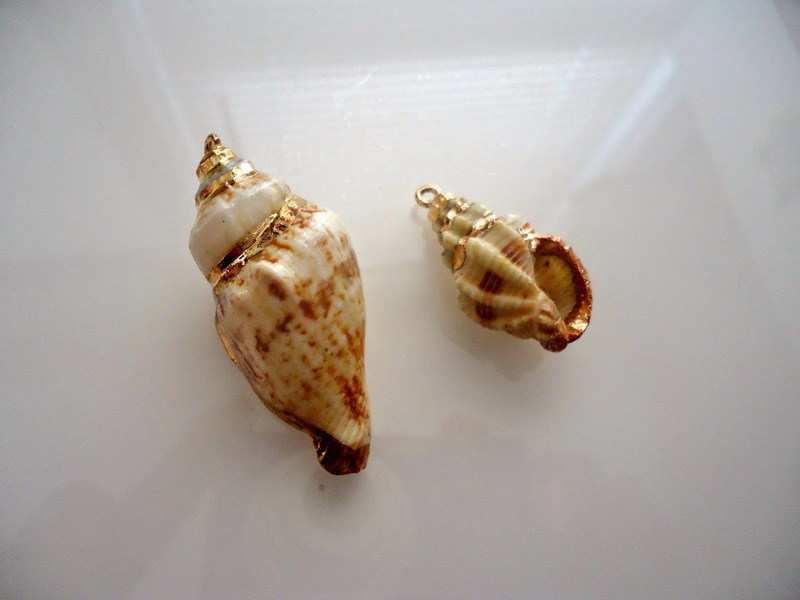 I also picked up a set of sea shell charms to include to my dainty necklace collection. 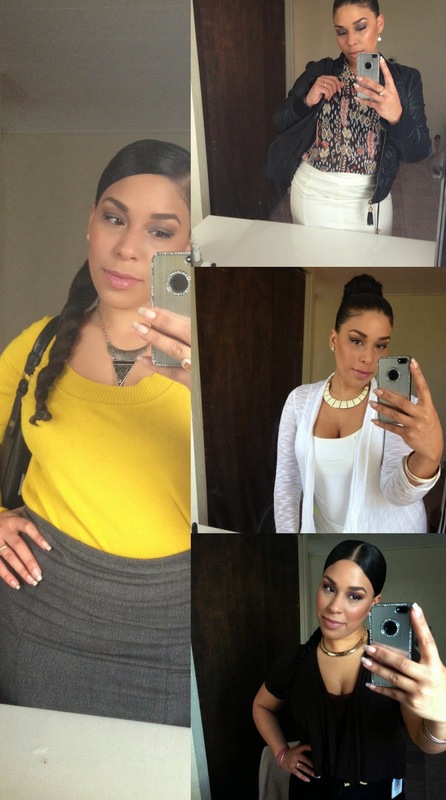 Check out my outfits this past week, shopping my closet of course! Ever since a little girl I’ve always loved collecting all things miniature. My first memory of a miniature object was an actual miniature ketchup and mustard set my mother bought my sister and I many moons ago. 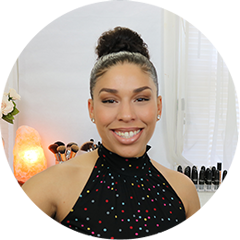 I was in complete awe to see everyday items be converted into mini’s and to this day I love all things miniature be it polishes, lipsticks, mugs or these adorable mini glass bottles I recently fell in love with. I’ve been experimenting with different ways to work with my herbs and spices and found these mini cork top bottles to be just what I needed. Below I collected some essential protective herbs and roots and concocted a set of protective charms I will be selling on the blog soon. Bay leaves energy is excellent to use or carry as an amulet on its own or accompanied by other herbs or roots as shown here. It’s protective and purifying qualities helps enhance protection against negativity and low vibrations. 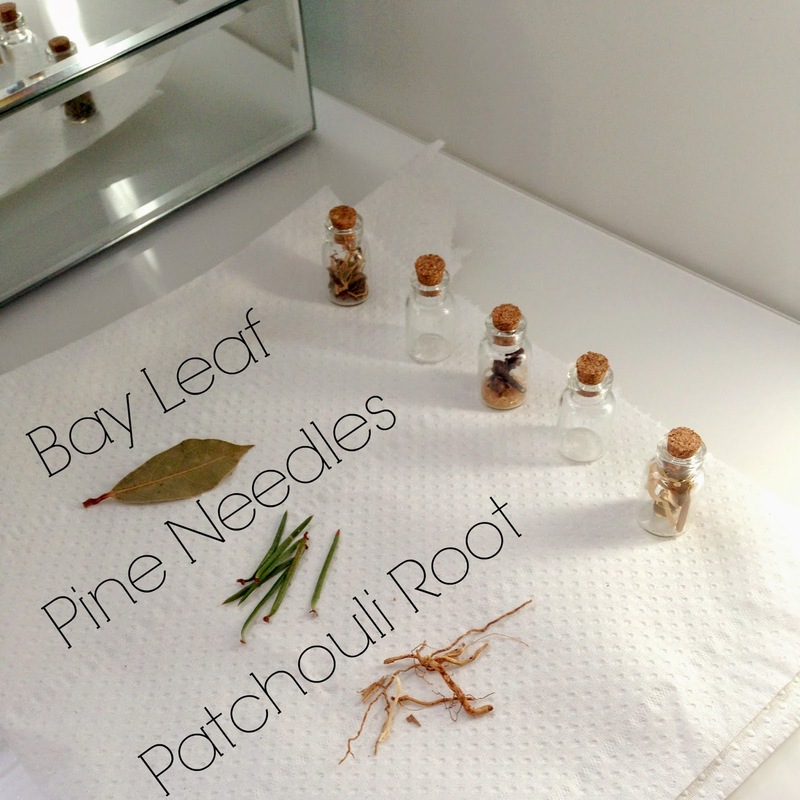 Pine needles are rather new to me and interesting to work with. Pine needles to me represent the strong and tall pine tree so I use it for grounding purposes. In addition, pine needles are said to be used in charms to purify, attract luck and prosperity. I’ve also began using pine needles as incense as well as including them in my aura baths for purification and healing purposes. Patchouli is an old favorite and I use it to attract prosperity especially for those actively seeking employment or new endeavors. Patchouli is also a great love promoting herb especially to help bring understanding to strained relationships. Smudge sticks has been a new thing for me as of late. I’ve tried incense cones, sticks and resins but never got around to the chunky smudge sticks as these. This past winter I stumbled upon a trio of Sage, Cedar and Lavender sticks for about $7 at a small little quaint new age/natural health store. I love to smudge my home and my things to clear the air of any negativity or get stagnant energy flowing. I burned this stick on a terracotta plate I bought at a local plant nursery for about $1. Although not shown, I also use an additional plate underneath to carry easily if walking around my house, to also protect my hand from the heat the terracotta plate may emit and prevent any sparks from falling. Most commonly an abalone shell is used to hold smudge sticks so I may invest in one in the future. But for now I feel my small little terracotta plate works just as well. 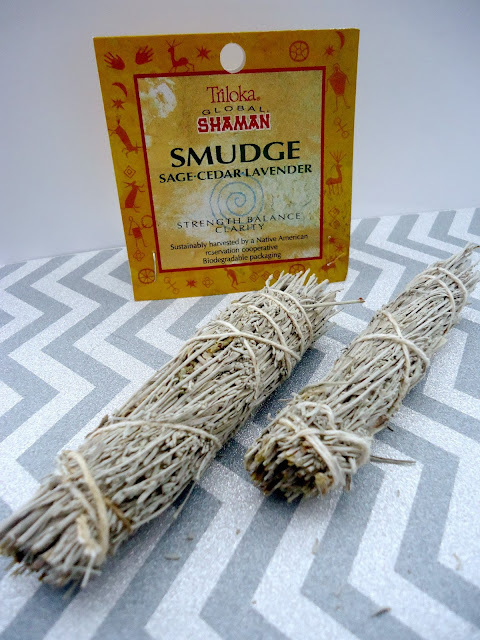 I really liked this scent and it was interesting how the cedar scent worked so well with the sage and lavender. I’ve never incorporated cedar in any of my incense recipes, so I will make sure to reference cedar in my next smudge. I prefer resins for most of my smudging but that is because I like the lasting and billowing smoke resins produce. It also covers a large area rather quickly whereas with the sticks, they’re slow burning and it’s energy is slow and soothing. So for example, I’m cleaning my house, purging old items and kind of on a roll sort of vibe on a Saturday. Typically on a day like this I will reach for resins (Frank &amp; Myrrh, Jasmine, Dragon’s Blood, etc.) because the energy is on the go, moving, flowing. On other days the energy is quiet, slow, stagnant usually on a Sunday or mid week. 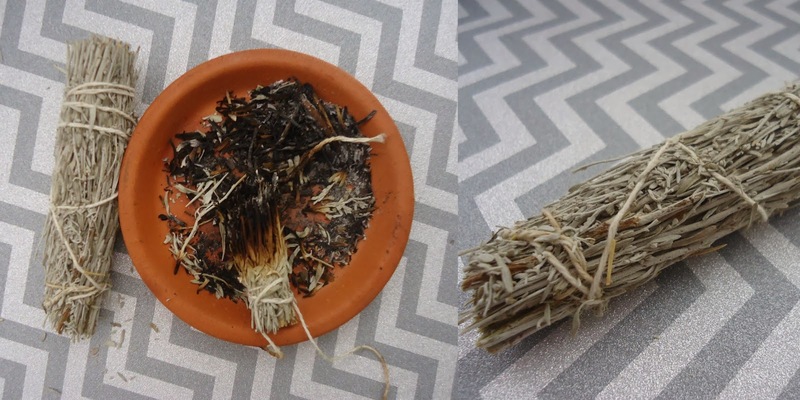 I light a smudge stick (skinny or chunky) with purifying yet soothing scents (Vanilla, coconut, chamomile) to invigorate and promote a calming and flowing environment. I slowly enjoy the scent while meditating or simply inspiring my mind. So if you would like to get into incense I recommend incense skinny sticks to try out scents that best suits you and your energy.